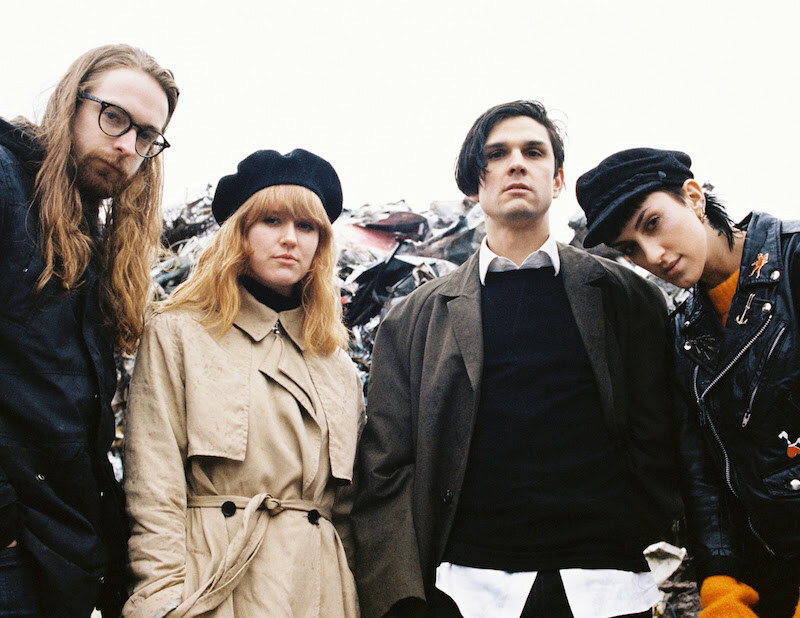 With their debut LP Their Prime due out May 25th via Sub Pop Records (Royal Mountain Records in Canada), Vancouver-based indie-punk quartet Jo Passed are sharing a new single & video for “Glass“. Jo has been part of the DIY music scene since his late teens. Initially it was just him and his high school best friend Elliot Langford against the world. They were the “freaky music weirdos” and they began their own band projects. Jo was pretty sure that it would be two of them riding into the sunset – or maybe the gloom – together. Personal circumstances and the phenomenon of the late 20s return of Saturn (for those who believe in astrology) got in the way. Their band Sprïng called it a day. That’s where the life of Jo Passed began. The idea of a band dynamic is far more appealing to Jo than solo projects, and the current incarnation of Jo Passed feels like its most robust yet. Preorders for Their Prime are now available through Sub Pop and Royal Mountain Records. LP purchases in North America through https://megamart.subpop.com/releases/jo_passed/their_prime and select independent retailers will receive the limited Loser edition on clear vinyl (while supplies last). There will also be a T- shirt design available. The limited Loser edition will also be available in the UK/EU on clear vinyl from select independent retailers (while supplies last).